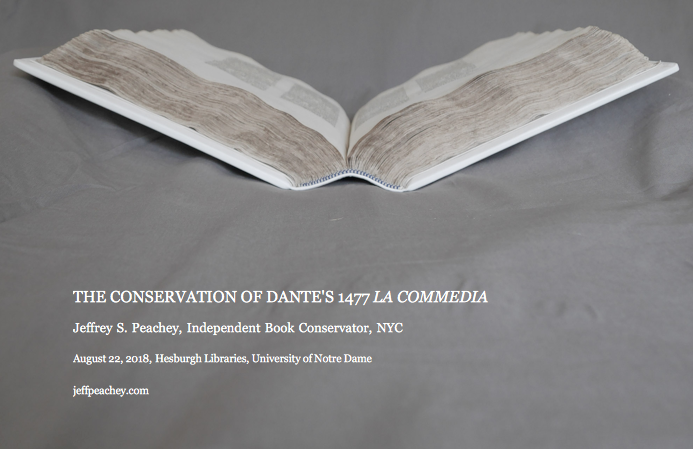 The conservation treatment of the Hesburgh Libraries’ important copy of Dante’s La Commedia (Venice: Vindelinus de Spira, 1477) will be detailed in this profusely illustrated lecture. 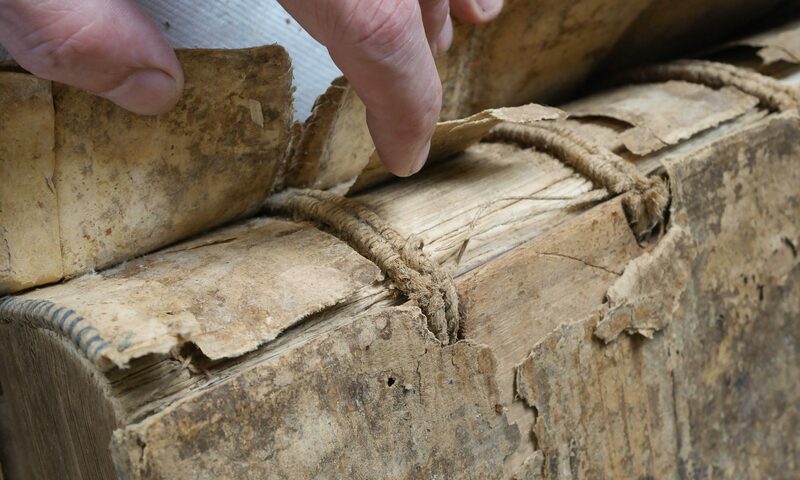 Its deteriorated and damaging 20thcentury binding structure will be described, as will considerations and decisions leading to its resewing and rebinding in a historically sympathetic alum tawed goatskin conservation binding. Evidence uncovered during treatment, which suggests the Inferno and Purgatorio cantiche may have circulated separately at one point, will be explored. Differences between historic 15th century binding practices and modern conservation binding techniques will be highlighted, as will the sometimes problematic differences between historic and modern materials. An overview of aesthetic considerations for conservation rebinding will conclude the lecture. Bibliophiles, conservators, librarians, Italian scholars, and anyone curious about the physical structure of books will find this lecture of interest. No recording, it would have to be outsourced. I’m happy to give the talk again elsewhere, though! Previous PostPrevious What is a Conservation Binding?